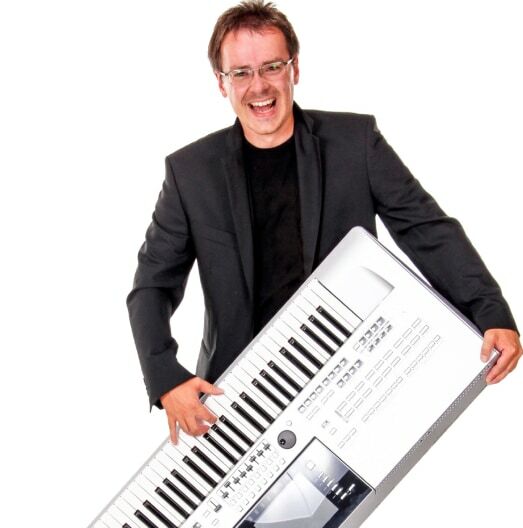 Recent review: He did a fantastic job playing at our corporate event. A must-book for all piano needs. Hi there! The wedding is at 3pm that day, and the bride is hoping for light, traditional wedding music played (ideally with an R&B vibe) starting at 230. A soloist will accompany you on the song that the bride will walk in (the song is TBD). There is also a wedding rehearsal the night before we'd like you attend and we'll be sure to cover all costs associated with that. Thank you for the consideration! Keyboard players are a perfect choice for events of all types from corporate and community events, to birthday parties and weddings. They can provide a variety of sounds and styles of music. Electronic keyboards can synthesize unique sounds and multiple instruments, making it a great substitute for a full sized band. Keyboard players can provide a similar service as a piano player, but offer the convenience of portability that you can't get with a baby grand or upright piano. Search for Keyboard Players in Bethesda, Maryland above. Please note that these Keyboard Players may also travel to Chevy Chase, Glen Echo, Cabin John, Kensington, Garrett Park, McLean, Rosslyn, Potomac, Langley Park, Chillum, Naval Anacost Annex, Ft Myer, Greenway, Adelphi, Mount Rainier, Suburb Maryland Fac, Falls Church, Tysons, West Mclean, Brentwood, University Park, Colesville, Dunn Loring, Colmar Manor, Hyattsville, Washington Navy Yard, Crystal City, Calverton, Bladensburg, and Merrifield.